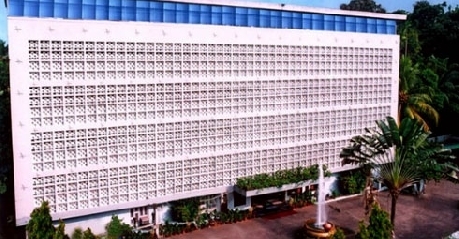 Ideally situated, Hotel Maharani is a good choice for business as well as leisure travelers. The hotel is at close proximity with places of interest such as Kappad Beach, Calicut Beach, Malabar House boat, Pazhassi Raja Museum, Art Gallery, Mananchira Square, Krishna Menon Museum, Planetarium, Beypore town and Kallai. The Calicut Airport is 27 km from the hotel while the railway station is approximately 3 km way. The nearest bus stop is also at a distance of about 2 km from the hotel. the amenities offered by the hotel include travel assistance, airport transfer (surcharge), car rental facility (surcharge), doctor on call, laundry services, currency exchange and car parking. There are two spacious conference halls to conduct meetings, seminars, exhibitions, trainings and workshops as well as one executive conference room to hold small business meetings. The hotel also consists of two theatre styled banquet halls to conduct weddings, receptions and parties. While staying here, the guests can relax and rejuvenate in Ayurveda, the ancient Indian healthcare system. The services and the hospitality of the staff are impeccable which makes the stay memorable. 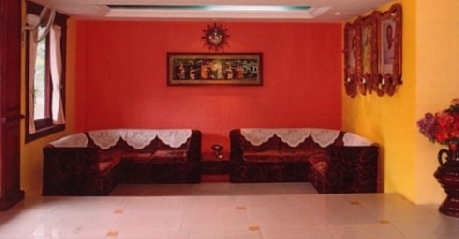 These rooms are comfortable and nicely decorated with A/C and non A/C options. The facilities include complimentary breakfast and newspaper, satellite television, international direct dialing on phone, safety deposit boxes, mini-bar (surcharge), complimentary Wi-Fi and 24-hour room service. The attached bathroom consists of running hot/cold shower and necessary toiletries. All the rooms come with the choice of air-conditioning and non air-conditioning. The modern amenities offered are free Wi-Fi access, cable TV, STD/ISD on telephone, in-room safe, mini-bar (surcharge) and a private bath with complimentary toiletries and running hot and cold water. Complimentary breakfast and newspaper along with round the clock room service is provided. The rooms are beautifully designed and furnished with modern amenities. Offering both A/C and non A/C choices, the rooms are equipped with television with satellite channels, in-room safety locker, mini-bar (surcharge), STD/ISD on phone, complimentary Wi-Fi connectivity, 24-hour room service and complimentary breakfast and newspaper. The private bath includes complimentary bath accessories and regular supply of hot and cold water. The suite is spacious, has elegant interiors and well furnished with all the necessary amenities and conveniences. Such amenities include direct dial telephone, complimentary Wi-Fi, TV with cable programming, mini-bar (surcharge), in-room safe, complimentary breakfast and newspaper and an attached bath with premium bath essentials and running hot/cold water. Round the clock room service is also available. Rooms are fitted with the modern facilities like direct dial telephone, attached bath, 24 hours Cable TV. There are 24 hr room services available to make your stay at Maharani Hotel comfortable and hassle-free. 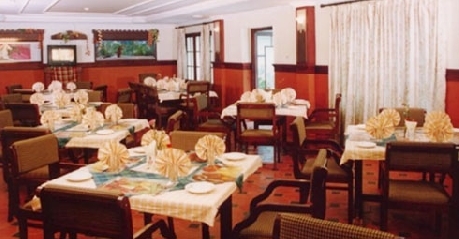 The family restaurant in the hotel serves Chinese, Continental and Indian food that the guests can enjoy. The ambience is lively and the food is of culinary expertise. It is a great place to enjoy family lunches and dinners. 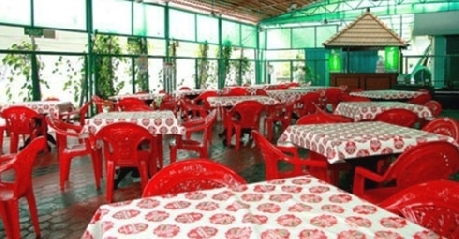 The multi cuisine restaurant serves delicious South Indian, Chinese and Continental fare. The restaurant specializes in traditional Malabar cuisine that includes dishes such as Idiappam, Fish Curry, Puttu and Kappa. The essence of Kerala is very much integral to the ambience and the taste of the food of the restaurant. The well-stocked bar consists of a nice selection of wines and spirits. The bar also serves delicious cocktails for the guests to enjoy. The coffee shop is a nice place to relax and enjoy some quiet time or hang-out with friends and family. The aroma of the hot coffee and the savory snacks are a delightful treat.